Restaurant is 6 miles from the corner of Franklin and Columbia streets. Go north on Columbia St, which changes names to Martin Luther King Blvd and then to Highway 86. About 1.5 miles past I-40 you will see our Farm House sign and Allen & Son BBQ on the left. Turn left here on Millhouse Rd. Go 1/10th of a mile and turn left on a dirt road which leads to our parking lot. Take either I-85 South or Durham Freeway West. Go 7 miles past the I-85/Durham Fwy. merger to Exit 165. Turn left (south) on highway 86. Go 4.5 miles. 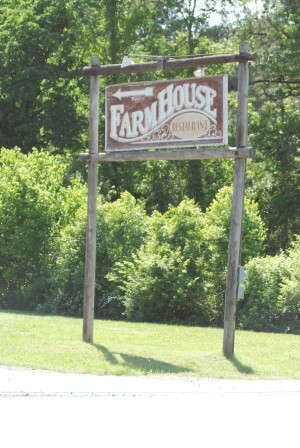 Look for the Farm House sign and Allen & Son BBQ on the right. Make right turn here on Millhouse Rd. Go 1/10th of a mile and turn left on a dirt road which leads to our parking lot. Take I-40 west to Chapel Hill to Exit 266. Turn right (north) on Highway 86. Go 1.5 miles and look for our Farm House sign and Allen & Son BBQ on the left side. Turn left here on Millhouse Rd. Go 1/10th of a mile and turn left on a dirt road which leads to our parking lot. Take Hwy. 86 south toward Chapel Hill. Go 4.5 miles past I-85. Look for the Farm House sign and Allen & Son BBQ on the right. Make right turn here on Millhouse Rd. Go 1/10th of a mile and turn left on a dirt road which leads to our parking lot. Take I-40 East/I-85 North. These freeways split just east of Efland. At the split take I-40 East. Get off at the second exit, #263. Turn left on New Hope Rd and go 3/4 miles. At the stop light turn right on Hwy. 86. Go 2 miles. Look for the Farm House sign and Allen & Son BBQ on the right. Make right turn here on Millhouse Rd. Go 1/10th of a mile and turn left on a dirt road which leads to our parking lot.